We love organic salsa. I’m constantly buying it and my kids are constantly eating it but have you ever read the label? Some of the ingredients added to them are just not needed or wanted. 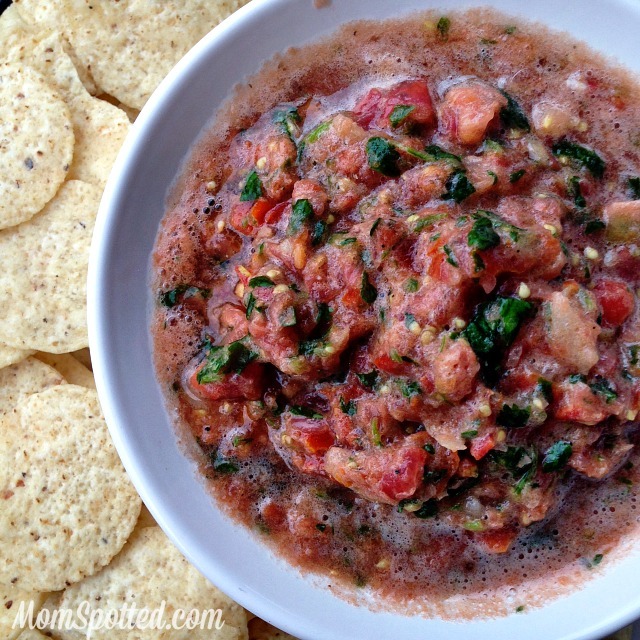 I’ve never made my own before and if I had realized just how easy it was to make Homemade Organic Salsa I would have been making it years ago. Now, I can control exactly what I’m putting into it making all the ingredients organic and keeping the sugar out. 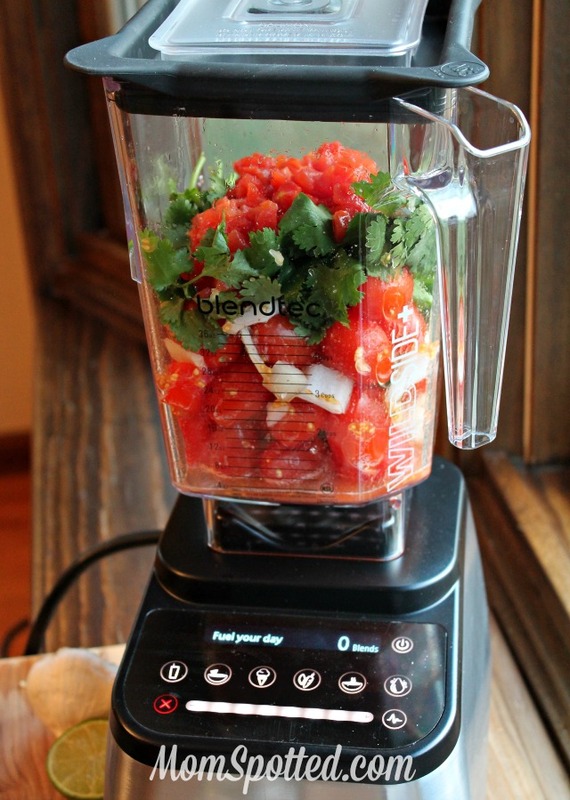 Combine all ingredients in the blender. Pulse until desired consistency. 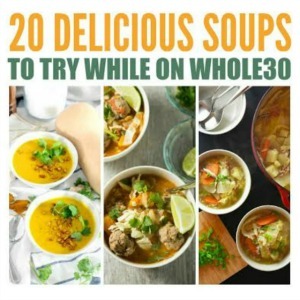 If you are doing Whole30 this recipe is 100% compliant. 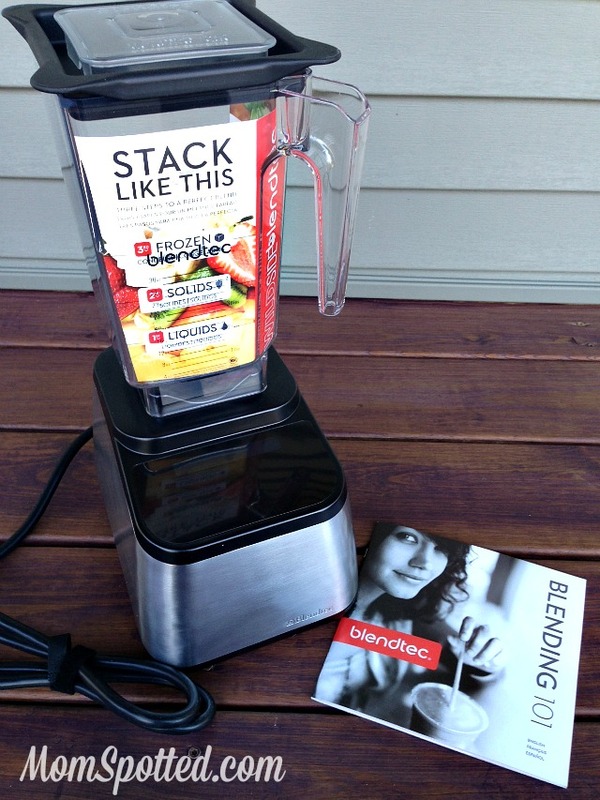 I recently received the Blendtec Designer 725 with Wildside+ Jar and it is pretty amazing. Since owning it my opinion of the Blendtec has a huge change. It’s so much more than what I thought it was. 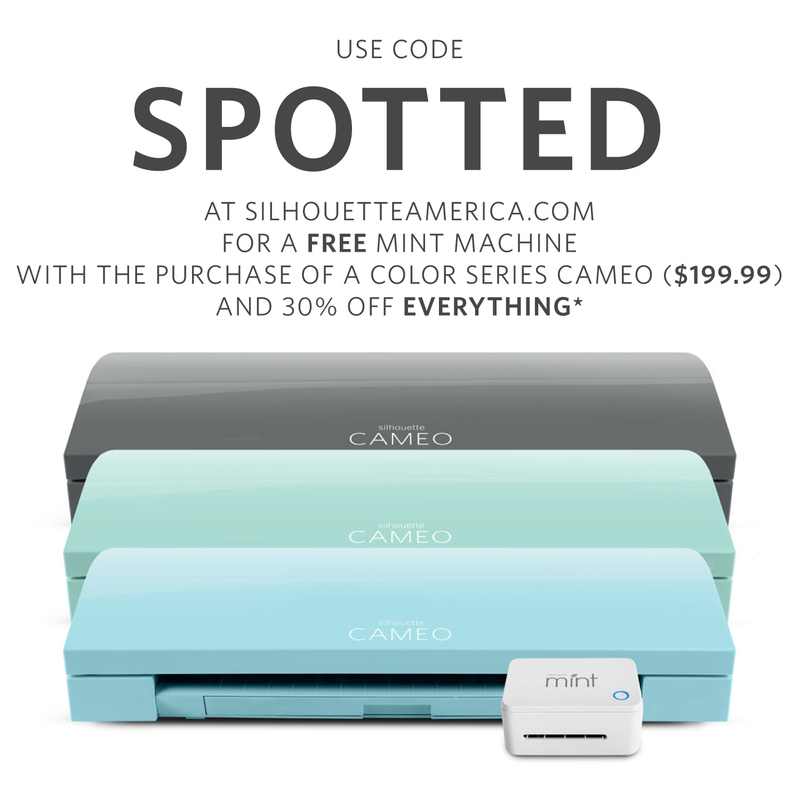 It is NOT just another blender. 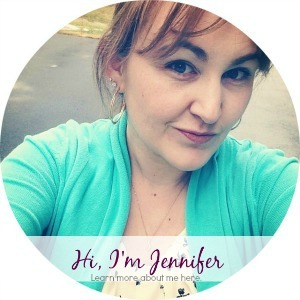 When I first got it I thought it was just a fancy milkshake maker because that is all I’ve ever made in a blender but after checking out all the recipes they have on their site I knew this could do so much more and last through it all. I watched a youtube video and this baby destroyed an iPhone 6 to dust. My last blender couldn’t handle an entire summer and the hardest thing I added was ice. I couldn’t wait to try Homemade Organic Salsa. 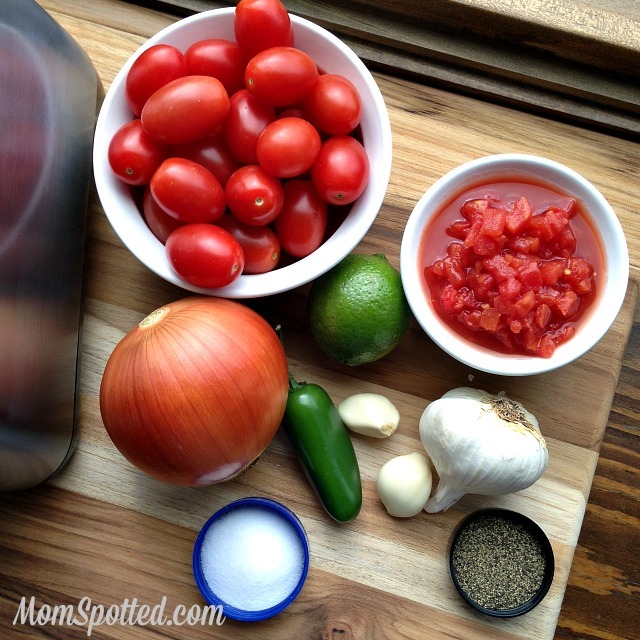 We’ve made this Homemade Organic Salsa a few times since and I can tell you that it is so good! We like more of a chunky salsa so we drained out the can tomato juice but if you like it thinner like a restaurant style you could leave it in. I also recommend de-seeding the jalapeno if you aren’t looking for a lot of heat. 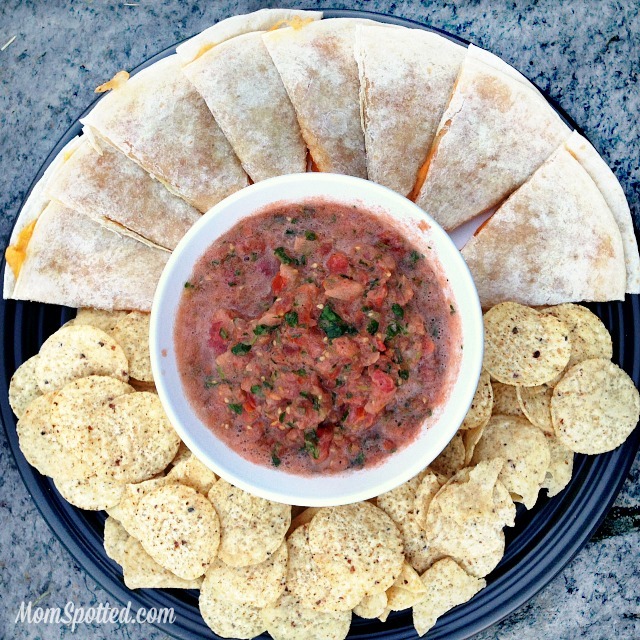 This would be a great appetizer for your next party or holiday event or in my case a great afterschool snack in a house of three growing boys.